Inspired by the rustic charm of New York Brownstone houses in the comtemporary context, where a complete atmosphere for lifestyle living, play and recreation come together. Architecture language with its straight lines and rustic expression is immediately standout among the matured neighbourhood. 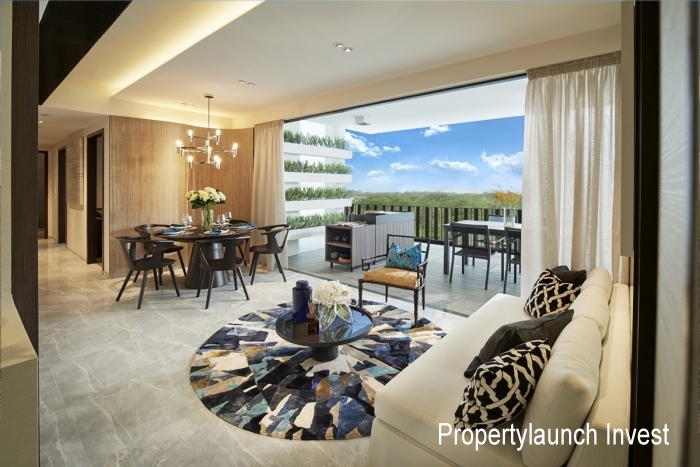 The Brownstone EC is a New and Upcoming Executive Condo (EC) located in the North Region of Singapore with a vast land site area of 307,446 square feet of land, bounded by Sembawang Road, Canberra Link and Canberra Drive. It is a short walk to upcoming Canberra MRT Station, a new station between Yishun and Sembawang MRT Station, serving the North-South Line, and will be ready by 2019. Residents at The Brownstone will be able to take in a whole new level of enjoyment and experience with luxurious facilities designed for their pleasure. This comtemporary development is a full facilities executive condominium with guard house, club house, indoor gym, half basket-ball court, tennis court, splash pool, 30m/50m pool. Inspired by Manhattan style with generous internal spaces and a thermatically arranged recreational landscape. Check your available units HERE!! Abundance of amenities, walking distance to Sun Plaza, Sembawang Shopping Centre, upcoming Canberra Plaza! Feasting- Gourmands can cook up a storm at the Sky Barbaque, located at the Sky Deck. Active Living- Residents can choose from numerous pools to take a dip in- ranging from lap pool, kiddie play and splash pools and even a social pool. Active types can go for rounds at the junior skating rink, or exercise sets on the Sky Deck. Nature- Residents with green fingers can try their hands at community gardening at the four different Social Gardens (Wellness/Spice/Fruit/Cooking Herbs) located at the Sky Deck. The development will be embraced by lush greenery from the ground up with hanging bosque and living green walls reinforcing a sense of nature. Surrounding the facilities is a verdant landscape of trees and fields with a unique Lawn Vista. 1) Made in Germany Sanitary Fittings from "Hansgrohe"
4) Renowned Developer. City Development (Cliveden at Grange Road, Coco Palms, Amber Park, Botannia, 368 Thomson) and TID Residential, a subsidiary of Hong Leong Holdings. 8) The balconies of alternate floors feature jetty-like balconies, act as a facade treatment. The residential development comprises of 8 blocks, each between 10 and 12 storeys high with total of 638 residential apartments from 2 to 5 bedrooms units, catering to young couples, large and growing families. 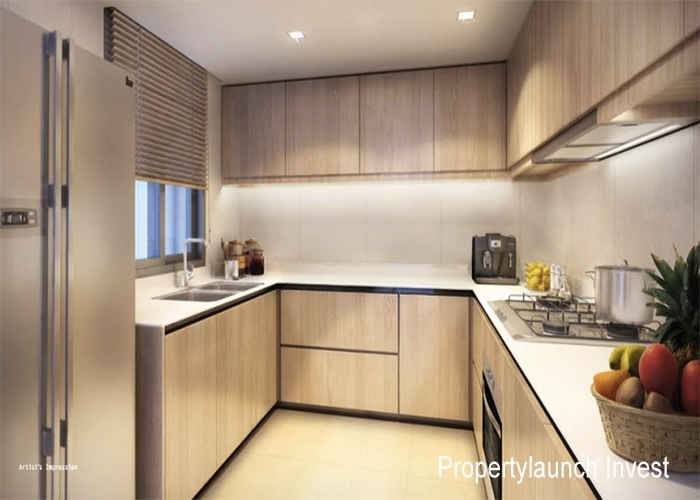 With a low entry price and high returns together with great accessilbility, good construction, unique, detailed facade and a thermatically arranged vast recreational landscape will make The Brownstone EC one of the first EC, a Rare Gem in Canberra, next to MRT. 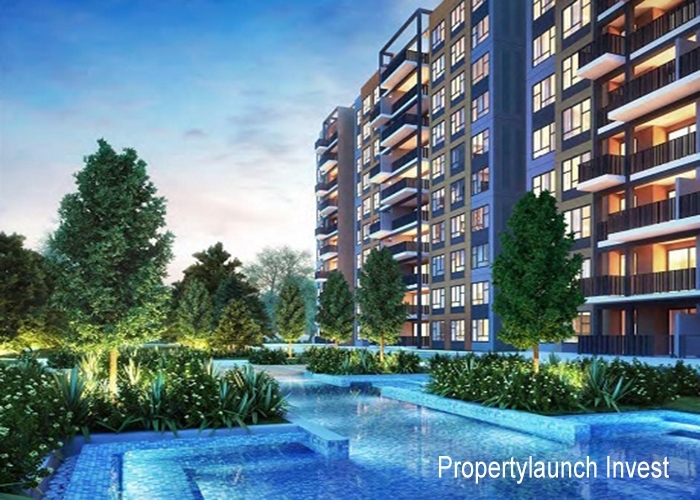 Located in the growing Sembawang town where there are only two new private non-landed residential and one executive condominium (EC), namely Canberra Residences, The Nautical and Sky Park Residences EC presently. While The Nautical and Canberra Residences have obtained ther TOP, 395 of the 506 units at Skypark Residences have been sold. Following these housing developments, future residents of The Brownstone EC can look forward to more housing, transportation infrastructure, facilities and an increase of conveniences and vibrancy. The region around Canberra MRT station are to be further developed in the next couple of years. More acreage lots will be released for residential developments, a mixed developement with shops, eating houses and a 3 storey neighbourhood centre with more shops, supermarket, food court, enrichment centres as well as educational and child-care centres will be constructed. An upcoming Sports and Recreation Centre will be part of a future one-stop community hub which will combine sporting and community facilities to create a vibrant space for bonding and social interaction. Strategies to boost road infrastructure have additionally be catalysed with the North-South Expressway (NSE). Residents will have better options and lessen travelling time to the city centre and other towns including to Yishun, Ang Mo Kio, Toa Payoh, Bishan and Woodlands. At present, it takes vehicle drivers, 20 minutes drive to Orchard Shopping Belt, Central Business District (CBD), City Centre and less than 15 minutes to Woodlands Regional Centre. 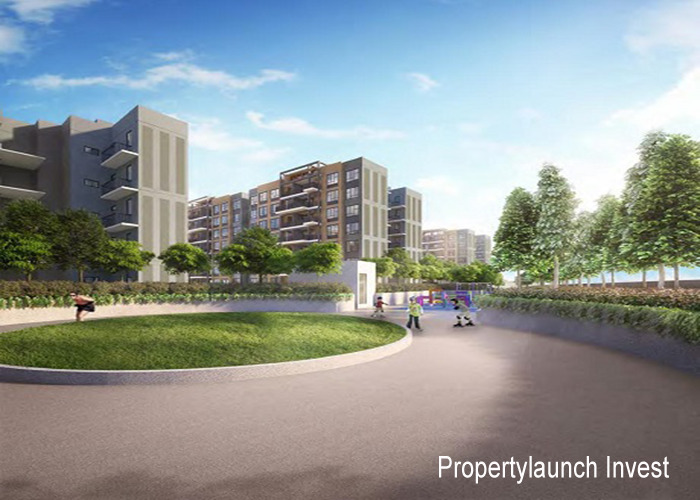 As standing next to Canberra MRT Station and with the nearby North-South Expressway (NSE) residents of The Brownstone EC can enjoy fast, convenient and efficient transportation, a better breeze and lesser travelling time, commuting to the City Centre and various parts of Singapore. Together with more industrial developments which are going to be constructed along Gambas Avenue, the forthcoming development of North Coast Water Fab Park and Woodlands Regional Centre, Sembawang residents can anticipate more employment opportunities and hence will bring more buyers and residents to the estate. With potential population increase in Northern Region of Singapore and the catalyse costs of Woodlands Regional Centre, housing prices are expected to rise here. It is a magnificent living here at The Brownstone. Be part of The Brownstone, Your Ideal Home choice in Canberra. Register Here about The BrownStone EC and will contact you soonest. New and Upcoming Brownstone Ec is standing next to new Canberra MRT station, between Yishun and Sembawang MRT Station, along the North-South Line. And this future station will be ready by 2019. A less than a 5 minutes walk distance to the Canberra MRT Station adds convenience and efficiency to the residents of The Brownstone Ec in Canberra Drive. There are several buses serving Canberra Link and Yishun Avenue 2. Sembawang Shopping Centre, Sun Plaza, Causeway Point, North Point Mall and the upcoming Northpoint City are within close proximity. There will be 5 entrances to Canberra MRT Station and it will be linked and integrated to the site of the new and upcoming Canberra Plaza, opposite the MRT Station, hence bringing further conveniences to future residents. It is an upcoming 3 storey neighbourhood centre comprising shops, a supermarket, a food centre, enhrichment centres, child-care centres and education centres. Just opposite of The Brownstone EC are eating shops, minimarts, shops and minimart which will serve the convenience of the residents. A Town Sports and Recreation Centre is about 200 metres away that serve as part of the community hub that will serve the sporting and community facilities that will create a vibrant social space for residents. Other neighbourhood parks that are to be build on the greens of Sembawang include Sembawang Park and Seletar Park. 2 sites within the vicinity of The Brownstone EC have been zoned and reserved for schools. At the moment, nearby colleges include Yishun Junior College, Republic Polytechnic and GEMS World Academy Singapore which offer International Baccalaucreate programmes from kindergarten to pre-university level. Register Here for Your Showflat Appointment, FREE Updates and LOWEST Price HERE!! Please Register HERE with Us!! for your eligibility check Now!! And for your E-Brochure, Floor Plans and Lowest Pricing Here!! The area around the MRT station and the causeway Point mall is going to be upgraded into a major retail center at the heart of which will be pedestrian mall that is expected the 30 hectares that make up the hub. The Kampung Admiralty that is expected to be completed and ready for use by the year 2017 is a one stop center containing everything from shopping plaza, facilities for the young and elderly as well as residential areas. This plaza was upgraded in 2015 with addition o retail spaces. Found within the mall are a public library and a food court. Renovation works on the Canberra Park ended in 2015 and the park was reopened thereafter. New facilities like the tai chi corner were added but what immediately stands out is the new playground that is the first All inclusive playground ever in Singapore which allows for visually impaired and other disabled children to use the facilities at the playground. The Canberra plaza expected to be completed come 2019 is a three storey hub that contains everything a homemaker needs. From restaurants, supermarket to clinics it is a one stop shop and great for those who work most of the day. The fact that it is located close to the Canberra MRT station means it will definitely become the best place for commuters to do their shopping before they catch their train. Beginning from 2019, the opening of the Thomas East Coast Line will be phased. Two additional Stations, Woodlands North and South will be opened. With the Thomson East Coast l Line and the additional MRT stations, residents will be able to commute directly through and from their neighbourhoods.Upper Thomson, Havelock, marina Bay, Marine Parade and Bedok. Also it will become easier for visitors to get to the zoo using the MRT station at Springleaf. The Canberra MRT station is slated to be completed by the year 2019. Once completed, it will provide a faster way for commuters between Sembawang and Yishun to travel faster by skipping the need to use buses to the MRT stations. The cross border rail ink is going to provide a better commuting experience for cross border travelers. The planned Rapid Transit System will ink North MRT station in Woodland directly to areas like Johra Bahru. Visitors from Malaysia can spend quality time at the bus interchange with its many offices and eateries. There are plans to build a sports and community hub in Sembawang to be completed in 2018. This hub located very close to the planned visionaire neighbourhood will contain facilities like swimming pools, and centers for the young an elderly. 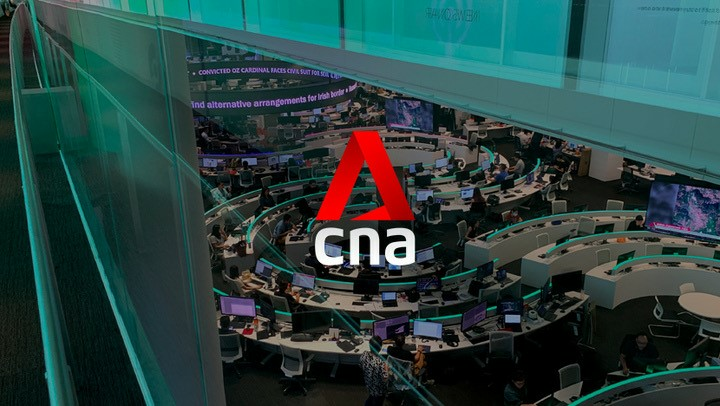 There is obviously going to be a big transformation in the North of Singapore beginning the 2018. All these construction works are going to be beneficial to the residents in North Region and population will increase. Demand for housing will Grow. As a growing town, Sembawang will be developed with more amenities, transport infrastructure and housing for its residents. Potential homeowners can look forward to more housing choices as new area in the South and East of Sembawang will be developed progressively. Accompanying these developments will be new facilities and amenities to serve current and future residents. With a variety of parks and recreational spaces to choose from, residents of Sembawang have many options. With a growing cycling culture, new initiatives will enhance cycling connections and facilities within Sembawang for a better and safer cycling experience. Additional neighbourhood parks to build on the green character of Sembawang. A vibrant one-stop community hub set in the green space off Sembawang Road that will provide residents with sports and community facilities. An expanded cycling network for Sembawang Neighbourhood 1 and new park connectors which form part of the Round Island Route, to connect residents to other parts of Singapore. The possible addition of a New MRT Station on the North South Line between Sembawang and Yishun. The new road, Yishun Ave 8, which will connect to Seletar West Link, and provide an alternative route to the Central, Tampines and Seletar Expressways. The new road network at Sembawang Neighbourhood 1, which will serve new developments in the area. With Upcoming industrial developments along Gambas Avenue, Sembawang residents can expect more employment opportunities closer to homes. The Upcoming developments of Woodlands Regional Centre North Coast Wafer Fab Park nearby will also bring jobs closer to residents. Canberra Station will be located between the Sembawang and Yishun stations along Canberra Link. The new station will serve commuters living in nearby estates such as Sembawang Springs, together with upcoming private and public residential developments nearby. When the station opens, commuters headed to the city centre or Jurong East can save up to 10 minutes of travel time, as they no longer have to take a bus to transfer to Sembawang or Yishun MRT station, said LTA. First, an adventure park will be developed. In time, a sports complex with a swimming pool and stadium will be built. Such sports facilities are coming to northern Singapore, and the 80,000 Sembawang residents will be the prime beneficiaries. By next year, residents will enjoy a 1.5ha Inclusive Adventure Park designed for all ages, which will house the largest number of swings in Singapore, including those for children, toddlers and people with disabilities. Other highlights include an amphitheatre, bicycle stations and third-generation fitness stations. Residents also have a say in the park’s colour theme. There are also plans for bigger sports facilities in 10 years. Details are being worked out, and options include integrating the sports complex with a park, library and hawker centre. With more sports facilities, residents are looking at increasing the events to be staged in Sembawang in future. Purchasing an EC in Brownstone is extremely promising as we may look into such capital appreciation after it becomes privatised over time. Future residents will enjoy living in Brownstone having very good accessibility to Canberra MRT Station, and the MRT line offers a comprehensive network around Singapore. 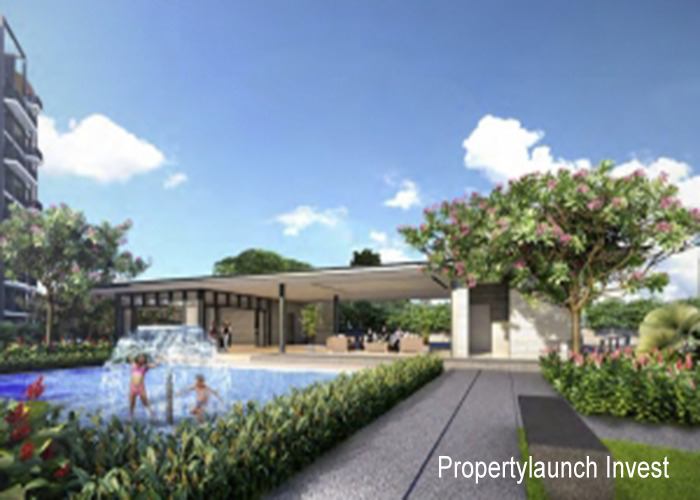 Together with the lush greenery that Sembawang has and the convenience of having a new Canberra Plaza, residents are looking at a long term investment with high profit margin. With the new private condominiums in the vicinity transacting at about S$1000 psf, makes Brownstone a value buy as it will be 20-30% more affordable than other developments around. 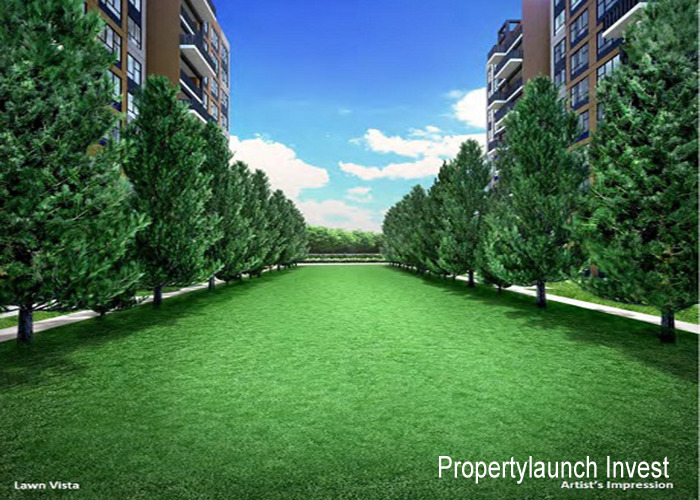 Singapore property landscape is gearing towards more functional and efficiency of space. Brownstone offers both of these. Its units prices range from $596,000 for a two-bedroom, $695,200 for a three-bedroom and $835,200 for a four-bedroom, at an average price of S$810psf. With the Northern Region of Singapore transforming into a life-style and commercial hub, the attractive pricing of Brownstone EC, being 20-30% more affordable than other new private condominiums within the vicinity, will offer a significant upside for its homebuyers.